January has been over for five days now. I’ve basically congratulated myself by going out to eat a few times now. And I’m overdue for an update. Doing Cook90 was a fun challenge. It got me to meal plan, which I hadn’t really before. Meal planning. I liked knowing what I’d eat, and when. Faster grocery shopping. It was so much quicker when I meal plan with specific meals. I stopped browsing for things that might be on sale because I didn’t need them. This really streamlined my trips. Trying different recipes for meals. I try a lot of different dessert recipes, but I’d fallen out of the habit of trying recipes for dinner. Planning slow cooker recipes or leftovers for busy days. Also, planning to use my oven on cold days. Rearranging the entire meal schedule if my meals didn’t depend on previously cooked leftovers. I liked that freedom. Of all the things about the last month, I simply loved knowing what I was going to eat, and when. I’ve always planned this out, but it was especially freeing this month. Meal planning was both good and bad. I knew I was sharing it with you, so there was pressure! I liked planning to not eat the same thing every day, but at the same time, loads of leftovers helped me when I didn’t feel up to cooking. My grocery shopping went more smoothly. I felt more organized. I saved money by not eating out. I ate more healthily by not eating frozen food. I’ve updated my menu for January, and I’ve linked to any favorite recipes. Once I’ve tried them a few more times, they’ll probably make it onto this website as well. 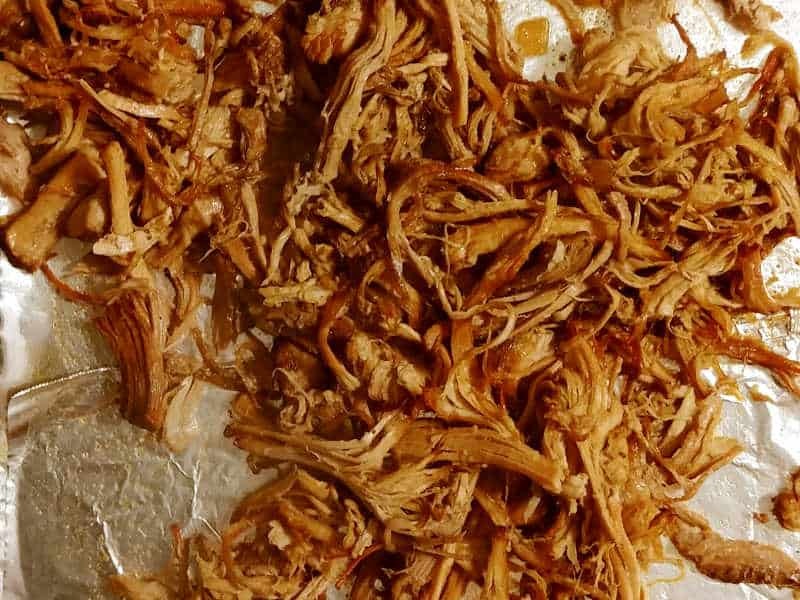 Like this recipe for crispy slow cooker carnitas, which was delicious, pretty easy, and gave us leftovers for days. Having to cook, even when I was surprisingly busy or under the weather. When I was lucky, I repurposed leftovers I’d planned to eat another time and pushed my meal schedule back a day. Not having the freedom to eat out when I was busy. (I didn’t plan myself any portable lunches.) Sometimes I took snacks from home, or basically had 4 small meals in a day. Meal planning. It was simply difficult sometimes. Basically, everyday meals aren’t the same as cookies; I find it hard to get excited about it. It’s a lot of work for little payoff. I also really dislike “quick” meals. I hate if there’s no time for me to load the dishwasher or wipe a counter while a recipe cooks. I feel harried by the time I sit down. I made a few recipes with “quick” in the title; they lived up to the description, but for the time spent, I’d rather spend a little longer cooking, pick up my kitchen in the process, and be more relaxed when I sit down to eat dinner. I’m going to keep meal planning. I liked seeing my meals out in a chart, and the benefits for grocery shopping were real. It’s also nice to eat out less, if I’m consistently making interesting food. It’s a great antidote to the hustle and eating out that happens every December. I honestly think I’ll try it again next year.